On the heels of a successful launch of the Comprehensive Care Joint Replacement (CJR) bundled payment program this past year, CMS is expanding their crusade to reduce cost and enhance care. Fortify the future of your post-acute care community by understanding how you fit into the “Big Picture” of healthcare reform. Begin with this checklist of five of the most critical factors that will impact your ability to leverage long-term success. 1 - Are You Fostering Relationships with Your Top Three Referral Sources? 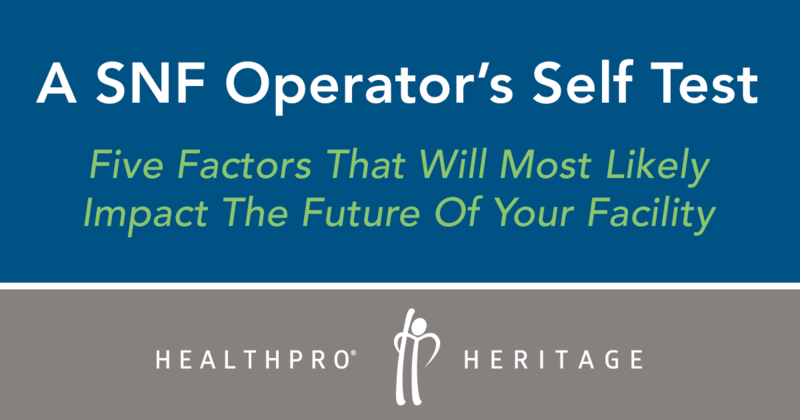 While many PAC operators focus only on their #1 referral source, HealthPRO®/Heritage recommends fostering relationships with at least the top three hospitals in your region. Consider how volatile the industry is right now; a sudden, unforeseen merger, acquisition or closing could greatly impact your facilities’ viability. Also consider: why do your referring hospitals send patients to your facility? Knowing “why” will provide valuable insight into what your facility is doing right! A savvy PAC operator will leverage this perceived strength with other potential referral sources, marketing campaigns, fund development initiatives, etc. Alternatively, if the answer to this question is not quality-related or skill-based, the perception may be that your facility is lacking in some areas. For example, in an ideal scenario, a hospital would site your facility’s exceptional care delivery, smooth admission/transition process, low rehospitalization rates, unique clinical niche programming, etc. as reasons for referring patients. 2 - How Well Do You Know the Dynamics of Healthcare Reform at Play in Your Marketplace? Are your referring hospitals affiliated with a network or an Accountable Care Organization (ACO)? Are they enrolled in bundled payment initiatives, Medicare Shared Savings Programs (MSSP), Comprehensive Care for Joint Replacement (CJR) initiatives, etc.? It is vital that PAC operators are aware of what hospital-based dynamics are at play and what value-based purchasing programs are in place. HealthPRO®/Heritage recommends a proactive approach. Hospitals are seeking to partner with quality PAC facilities that can help them achieve their goals. Since these goals are very clearly defined by factors related to healthcare reform mandates and sometimes subtle collaborations/affiliations, the onus is on the PAC operator to be informed and prepared to aggressively establish themselves as trusted allies/partners for the long haul. If referring hospitals are indeed enrolled in value-based purchasing (VBP) initiatives and/or part of a network, how well are these hospitals performing? Intel related to re-hospitalization penalty status, Hospital-Acquired Condition (HAC) penalties and pay-for-performance initiatives will provide clues as to how you can be a valuable resource/partner for your referring hospitals. Additionally, HealthPRO®/Heritage recommends a careful review of your referring hospitals’ MedPAR data to better understand their challenges and what financial burdens exist; armed with this data, PAC operators can then strategically positon themselves as a solutions-oriented partner. 3 - How is Your Facility Ranked? Some PAC operators are surprised to learn that every hospital (whether or not they are involved in a network/VPB program) now force-rank every post-acute care facility within their region. These objective rankings are based on performance metrics such as rehospitalization rates, average length of stay and star ratings. Knowing how you rank and compare with competing facilities is a fundamental, critical puzzle piece as you consider your facilities’ future. Additionally, PAC operators must also be able to identify what other specific factors distinguish their own community and services from competing facilities. Aesthetics, upgrades, renovations as well as clinical niche programs are examples of important features that will set your facility apart from the pack. It’s important to also have a clearly defined, executable plan for leveraging these differentiators, which may require an investment in a “SWOT Analysis” and/or marketing plan. 4 - Have You Vetted Your Home Health Providers? 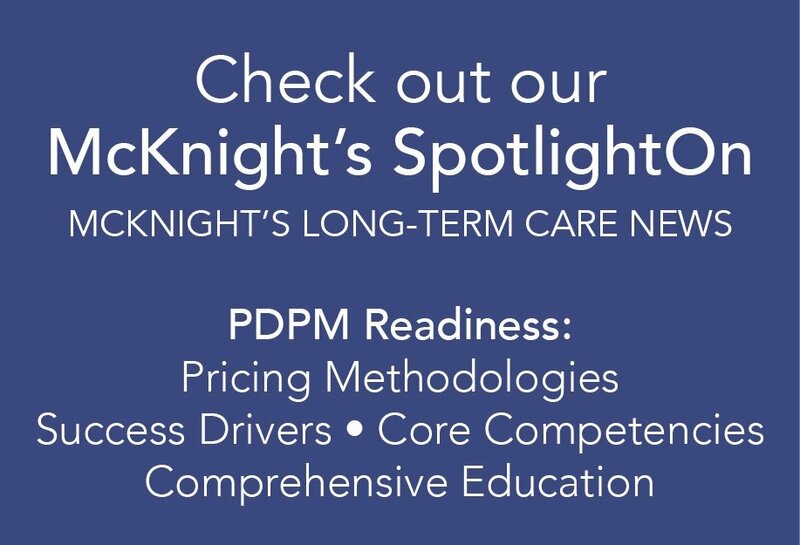 Since hospitals are force-ranking and selecting only the high-performing post-acute facilities, it makes sense that PAC operators must, in turn, also set criteria for their downstream providers. Important to note: Unfortunately, many PAC operators have an unvetted list of several home health agencies to which they refer. HealthPRO®/Heritage recommends only a “short list” of providers as a quality control measure and to streamline processes that ensure only the best clinical outcomes. In fact, in some scenarios, HealthPRO®/Heritage recommends/facilitates a formal relationship with a preferred home health provider to share resources, set up processes for transitional care and ensure communication. 5 - Do You Know What Factors Contribute to Your 5-Star Rating? The most recent edition of the HealthPRO®/Heritage Advisor Newsletter ( “Build a Better 5-Star Rating;” June 23, 2016) focused on how PAC operators can put simple initiatives in place (today!) to boost an anemic Star Rating. With each of our customers, HealthPRO®/Heritage encourages a “deep dive” to – first and foremost -- understand exactly why your facility’s Star Rating is what it is. Also, have you taken into account how the new five Quality Measures (effective July 2016) will impact your 5-Star Rating? While the June 23rd edition of the Advisor Newsletter comprehensively reported out on these CMS updates, we include them again here for easy reference. CMS will now review and evaluate the following: (1) The percent of long-term care residents whose ability to move around has worsened, and the percent of short-term care residents (2) needing rehospitalization, (3) needing an ER visit, (4) returning to home and (5) who demonstrated improved function. HealthPRO®/Heritage consults with customers to put in place specific strategies that address/leverage these new QMs. BONUS QUESTION: How will changes in your facility’s payer mix impact future financial stability? Based on HealthPRO®/Heritage data, as many as 97% of PAC operators are citing dramatic changes in payer mix at their facilities. Being able to anticipate and recognize trends unique to your community will be crucial, because payer sources dramatically affect not only reimbursement rates but expectations around minutes of therapy, length of stay, etc. This type of “self-awareness” is necessary for budgeting, staffing and strategic planning initiatives. HealthPRO®/Heritage has extensive experience working in the post-acute care industry (first, as therapy providers and more recently, as healthcare reform consultants). We recognize how crucial it is for PAC operators to stay abreast of changes and proactively take advantage of opportunities to collaborate and partner with like-minded providers. The ability to leverage these opportunities begins with a foundation of accurate marketplace intelligence and an honest assessment of what you know, and what you don’t know. HealthPRO®/Heritage offers this simple checklist as a foundation on which to build your strategic plan for the future. Our team of industry-leading experts also offers marketplace intelligence, guidance in developing a proactive plan and support in executing on strategic initiatives.